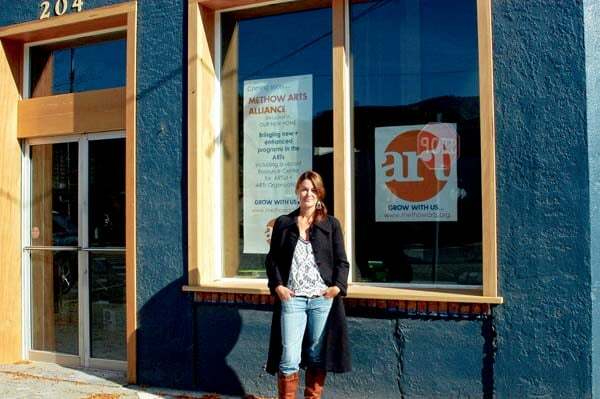 Amanda Jackson Mott and the Methow Arts staff will provide support for artists and arts organizations at a new resource center on Glover Street in Twisp. Methow Arts is moving soon into a new space and a new role, with the goal of making the arts and artists more visible and successful. The valley’s nonprofit arts organization will have a prominent location in downtown Twisp in newly renovated space on the corner of Glover Street and Second Avenue, the building that previously housed an auto parts store. With the new location, Methow Arts will expand its mission to include an emphasis on serving as a resource to artists and arts organizations around the state. The Glover Street building will become an arts resource center, the only one of its kind in Washington, said Amanda Jackson Mott, Methow Arts executive director. “We are moving into this beautiful new space, and with that comes expansion of programs that have been happening, but will happen more formally,” Jackson Mott said. Over the years, Methow Arts has been contacted by many Washington arts organizations seeking help on a variety of issues that impact them, Jackson Mott said. With a 35-year history of promoting arts and artists, providing arts education, art performances, and arts advocacy and leadership, Methow Arts has come to be seen as a source and information and support for other arts organizations, she said. “People have contacted us and asked how to build their capacity. How do you write grants, reach audiences, build programs? I would spend sometimes over 20 hours with an organization and share with them what we’ve learned,” Jackson Mott said. Partial financial support for the new resource center has come from an anonymous donor, Jackson Mott said. 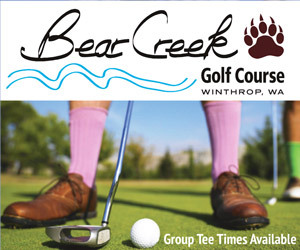 In addition to helping fund the remodel, the donation will also help Methow Arts develop the new resource center and related programs. The 1,350-square-foot resource center will include space for training, workshops, consultations, events, art exhibits and a resource library. “As part of our role of being on main street in Twisp is we have an obligation to be open on Saturdays,” Jackson Mott said. Methow Arts will hire a new employee in a customer service position to staff the office on Saturdays, she said. The new Methow Arts space has large windows facing Glover Street, and Jackson Mott envisions projecting images of art and arts events on a large screen inside throughout the night that can be seen from the street, so the space will always be bright and alive. Jackson Mott said Methow Arts hopes to move into the new space in November. The new resource center will launch in January, she said. Activities will include producing programs and providing consultation on topics for artists and organizations such as marketing and grant writing; promoting artists and organizations through print, web pages, social media and e-campaigns, and advertising; connecting artists and organizations with audiences across the state and the Northwest; providing support and development for teaching artists; providing networking opportunities for artists and arts organizations; and building youth leadership in the arts. In addition to the new arts resource programs, Methow Arts will continue the four program areas that have been its mainstay for 30-plus years — arts education in public schools throughout the county; presenting arts events and performances, and public art; arts promotion through its magazine and online; and leadership and advocacy of artists and organizations regionally and throughout the state.